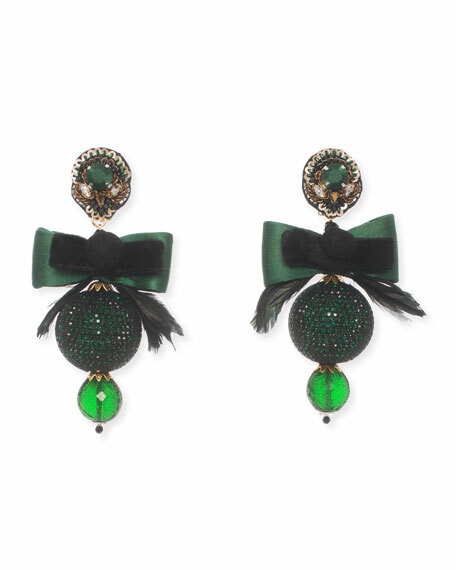 Ranjana Khan "Emerald" crystal statement earrings. 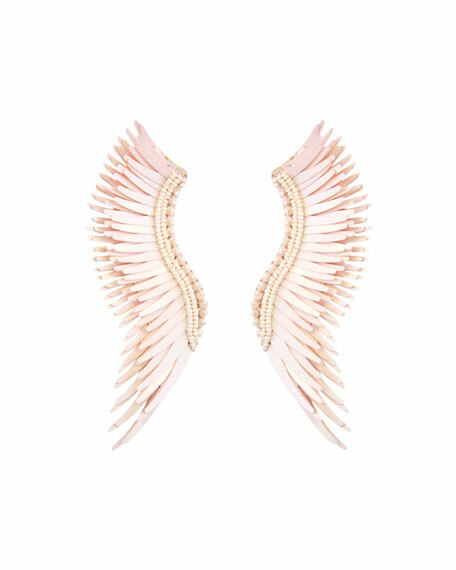 Anastasia earrings by Mignonne Gavigan. 18-karat gold-plated brass hardware. Genuine leather backing with beads. Bead embroidery and glass crystals. 14-karat gold-filled post backs. Approx. 2.8"L; 1.6"W. Weight: 0.8 oz. Imported. 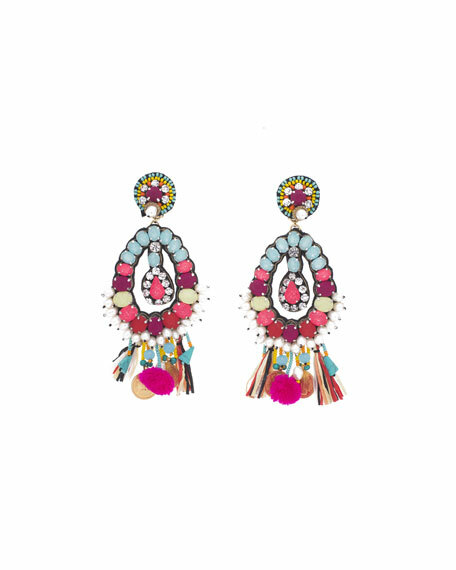 Mignonne Gavigan beaded bird earrings. Silk organza base with glass seed beads. Chicken feather embellishment. Leather backing. 14-karat gold-filled post backs. Imported. 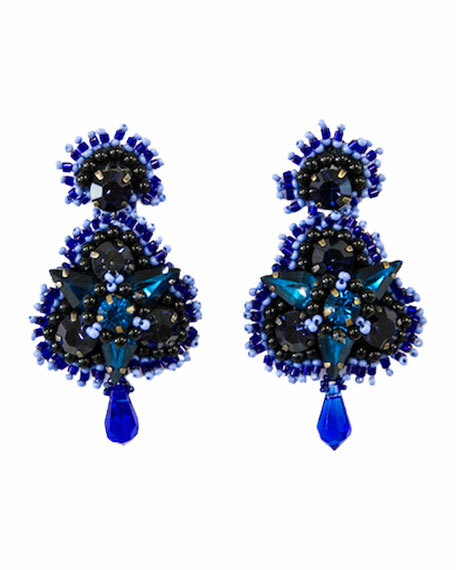 Madeline matte earrings by Mignonne Gavigan. Leather backing with rhodium-plated brass. Embroidered sequins and glass beads. 14-karat gold filled post backs. Approx. 3.5"L drop; 1"W. Weight: 0.4oz. Imported. Exclusively ours. Handmade statement earrings by Ranjana Khan, featuring Indian coins. Yellow-golden plating. Mother-of-pearl accents with tassel trim. Approx. 5.1"L x 2"W. Clip-on backs.